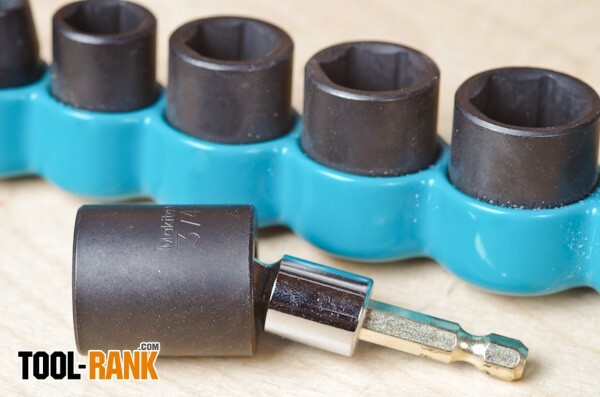 A while back Makita sent out a sample pack of their new Impact Gold Bits, Sockets, and Nut Drivers, all of which are rated to handle the high torque that today's impact drivers can deliver. They also sent out some fasteners, some fastening materials and some suggestions on how to put their new impact ready bits to the test. Of course I ignored their scenarios and put the Makita Impact Gold Bits to the test while on the job. 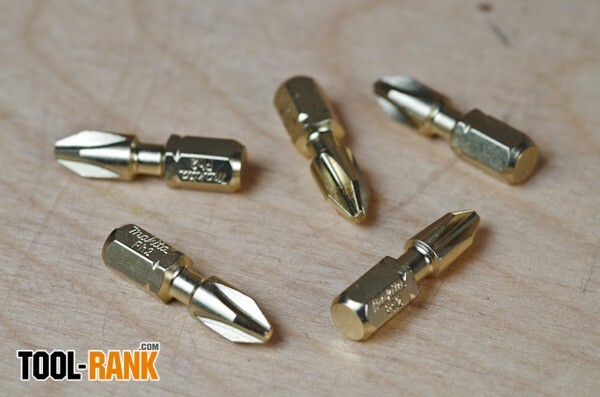 While reviewing impact bits might sound like an easy task, actually determining if they are stronger than other impact ready bits on the market can be quite the challenge. 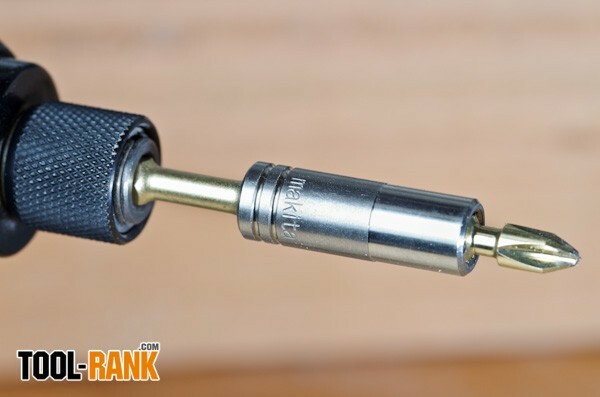 The main goal of an Impact bit is being able to withstand the torque of an impact driver without breaking. As far as my testing has gone, all impact bits do a better job than traditional driver bits. 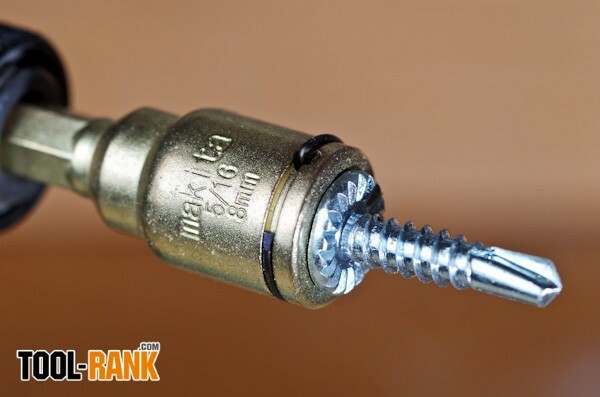 So in this review I am going to look at other parts of the Makita Impact Gold bits that set them apart from the rest. Over the years I have learned that there are two types of bits, those that are strong but brittle, and those that are strong and flexibility. The strong/brittle bits normally have great fitment but can break if pushed too far. The flexible bits don't seem to break as often because of their flexibility, but they tend to strip out more. 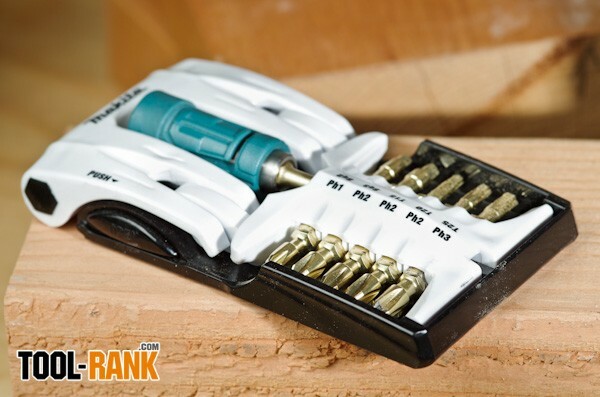 With the Impact Gold line of bits, Makita seems to have captured the best of both worlds. 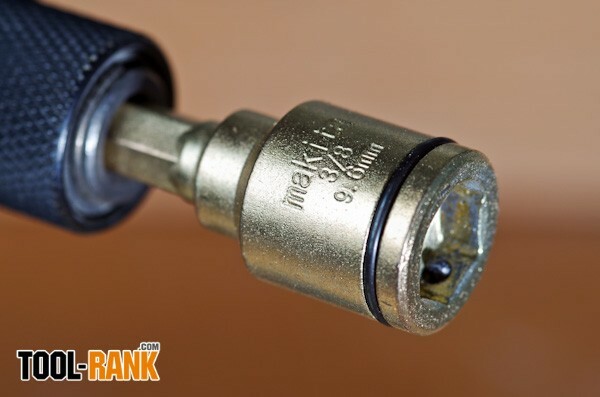 Their bit tips are strong and offer great fitment, while the bit shaft has a section that can twist using Makita's Xtreme Torsion Technology to take some of the pressure off of the tip. 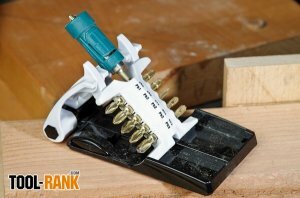 The bit holders also use the same technology to further reduce bit breakage. During testing I used a Makita Impact Gold #2 bit to drive #3 screws in an attempt to break the bit. I knew a poor fit would put more stress on the weaker parts of the bit. 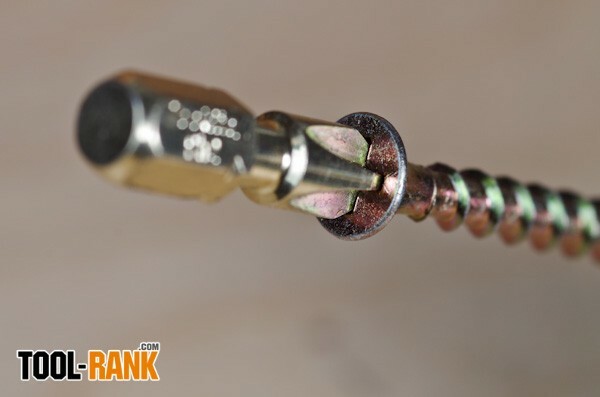 In this type of test regular bits would break as soon as the screw heads bottomed out into the wood, or sometimes before, but the Impact Gold Bits would not break. 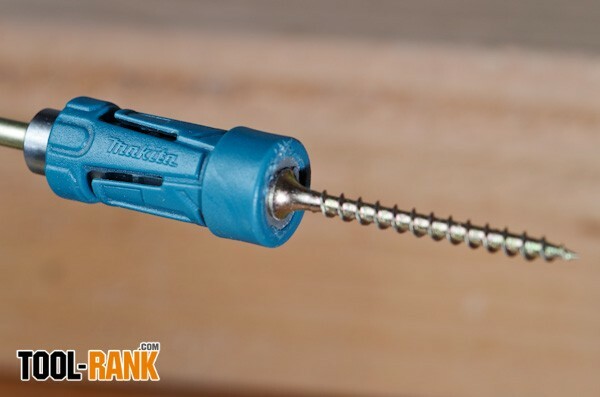 The Impact Driver would actually stop driving the screw any deeper before the bit had a chance to break. It actually took me having to tilt the bit inside the screw head to get the bit to break. Needless to say, using the proper #3 bit for the screw would have eliminated the possibility of me being able to tilt the bit inside the screw. For comparison, some other brand's impact rated bits didn't fare as well during the same test. They must use a more flexible metal, because it wasn't long until the screw bottomed out and the bit started to spin inside the screw head. In my opinion I would rather have a bit tip break than to have it cam-out and strip the screw head. After all, I could always get another bit tip, but once the screw is ruined it becomes near impossible to work with. As mentioned, Makita's Impact Gold line extends past just bit tips and bit holders. Also included in the line are No-Debris Grip-It nutsetters and Sockets. While I rarely have to use a nutsetter on the job, I often have to reach for a socket to bolt on some type of hardware. And though I have never found the need for special impact rated nutsetters or sockets, Makita is offering some nice features that many users may find useful. 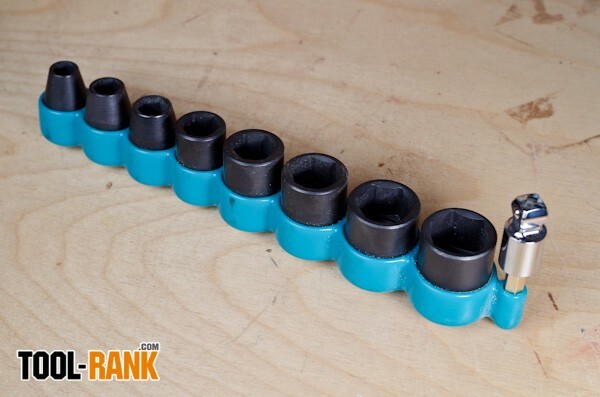 No-Debris Grip-It Nutsetters—In short, Makita's nutsetters do not use a magnet to hold the fastener, but instead use a snap-ring. With this design Makita has eliminated the possibility of metal shavings getting trapped inside the nutsetter. The non-magnetic design pretty much ensures that the nutsetter is always free and clear from debris. I found that using Makita's Nutsetter did take a split-second longer to load because you have to push the fastener hard enough to overcome the friction of the snap-ring. That being said, I feel the benefits of the non-magnetic design outweigh the millisecond delay. After extend use this is something you probably won't even notice anymore. 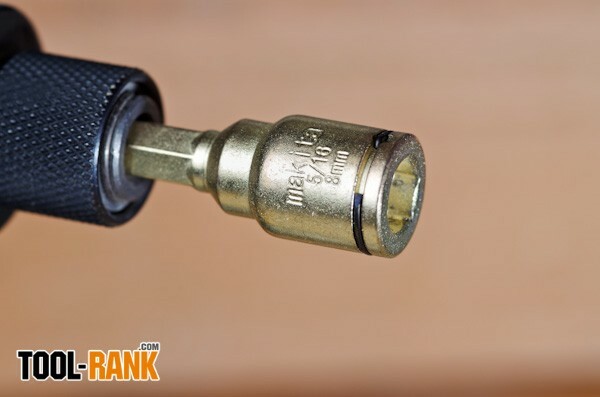 One of the gems of the whole Impact Gold line is Makita's 15-degree Tilt Socket Adapter. You can either purchase it in a set that includes 8 sockets (5/16, 3/8", 7/16", 1/2", 9/16", 5/8", 11/16", 3/4") or you can get it by itself and use it with your own sockets. The kit comes with a 3/8" socket adapter but a ½" adapter is also available. With it you can use sockets with your impact to drive lag-bolts, tighten nuts, etc. but it has the added benefit of a tilt feature that allows you to work right up against walls or in corners. Even as a finish carpenter I found myself turning to the Makita Tilt Socket because it finally allowed me to get into areas where I would normally have to use an open-ended wrench. In conclusion, the Impact Gold series of bits and sockets from Makita are some of the best out there. In fact, the bit tips have become my new favorites. Makita uses a 5 step manufacturing process that starts out with high-quality steel that is then machined and hardened, after that each bit is corrected, de-burred, and gold coated. I don't know what treatment other brands give their impact bits, but what Makita is doing is working. The Impact Gold line is extensive and includes multi-piece sets as well as double-ended power bits, various nutsetter sizes and more. If you are not happy with your current impact rated bits and drivers I strongly suggest you give the Makita Impact Gold Line a try.